Not your average family car but it is my favourite car of 2018! 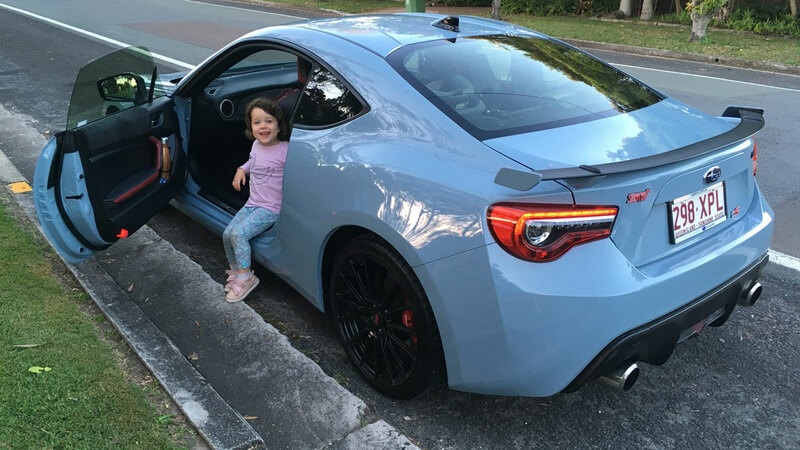 The Subaru BRZ is a four-seater sports car that we thought would be fun for our family to drive for the week and put it through some of our BabyDrive testing!! I can start by telling you this was my favourite car of 2018! Not the most practical as a family car but it looked HOT!! The model we tested came in battleship grey which was perfect with the black exterior features and the red and grey interior. This was never meant to be a serious review, in fact, I didn't even expect we'd be able to put our daughter in the back! To my surprise, there are ISOFix in both rear seats and they are nice and easy to connect to. There are top tethers in the parcel shelf behind both rear seats too. 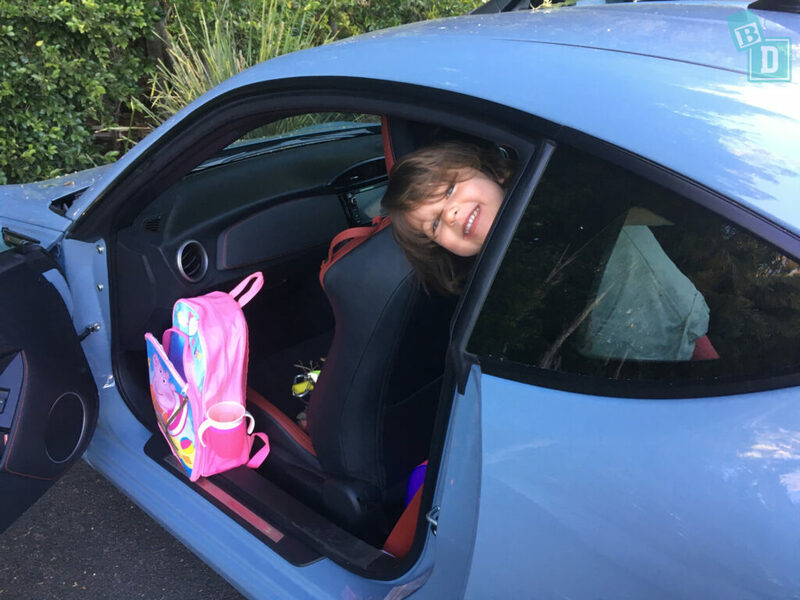 I really could not believe there were child seat fixtures in the BRZ and I also couldn't believe that two forward-facing child seats fitted in the back and relatively easily!! I fitted both the Britax Maxi Guard and Kid Guard Pro. 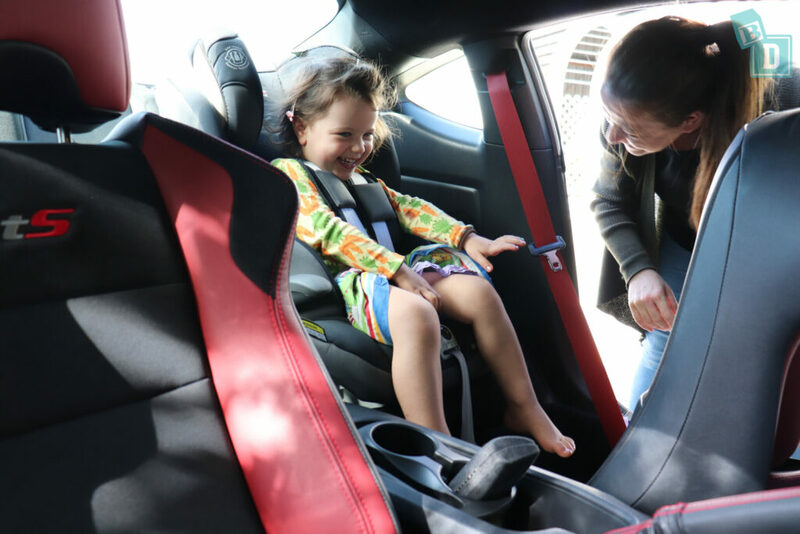 You wouldn't put a rear-facing child seat in the back as there wouldn't be the legroom for the front passenger and you would have a VERY difficult job getting them in and out of their child seat!! For a toddler getting in and out of a forward facing seat, it is fine and I actually didn't find it too difficult reaching in to do up Bub's harness! Maybe it was the novelty but it wasn't as bad as I'd expected! 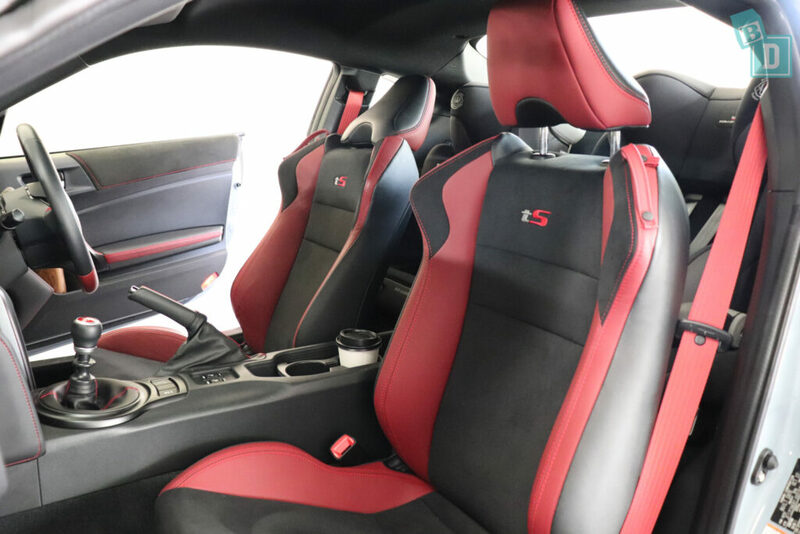 The car's seats are sporty racing shaped seats and I found them comfy, the red and grey upholstery wasn't particularly family-friendly or practical but it went with the look of the car! Storage in the interior was compact as you'd expect with no sunglasses holder in the ceiling but the door bins were large enough for a large refillable water bottle and there were two cup holders in the central console, in the back there is a single map pocket. Boot storage was again surprisingly good! 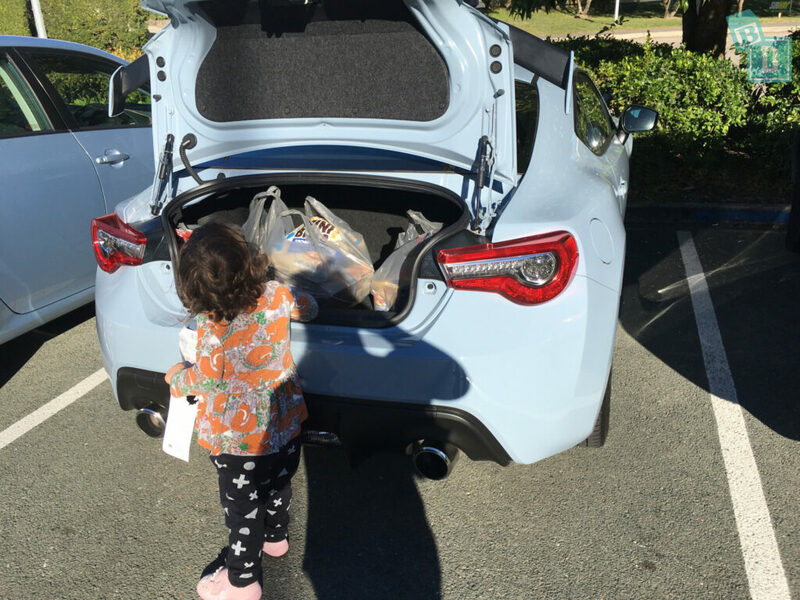 The BRZ boot could hold nine shopping bags when it was empty, or the Britax Flexx single stroller fitted with one shopping bag and various compact strollers fitted with shopping bags too. 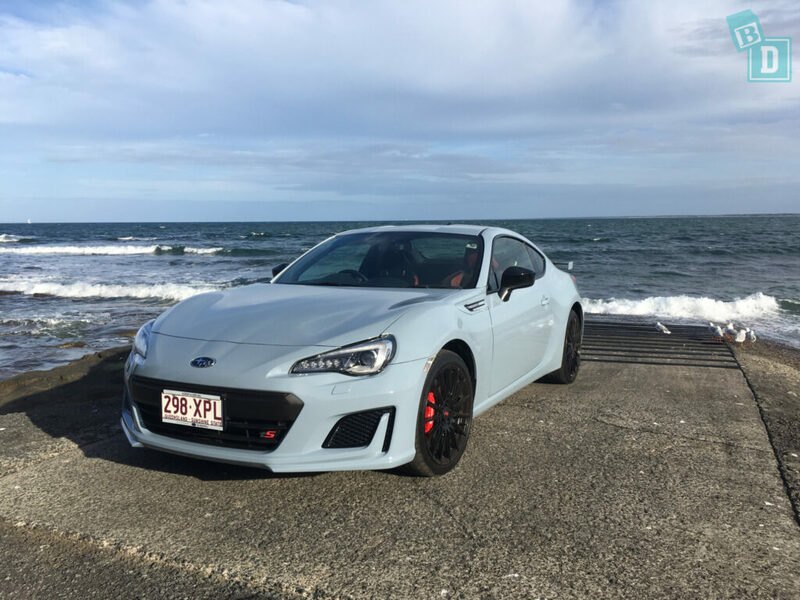 The BRZ is a fantastic car to drive! I have really enjoyed driving around with my girl in the back, we have had a lot of fun!! It is quite a hard ride and quite bumpy but that is to be expected and my daughter did keep saying “bumpy mummy”!!! It's really good fun, easy around town and to park and great out on the open roads! The media system is really nice and easy to use and has Apple CarPlay and Android Auto, it does have a small screen but everything is small in the BRZ! 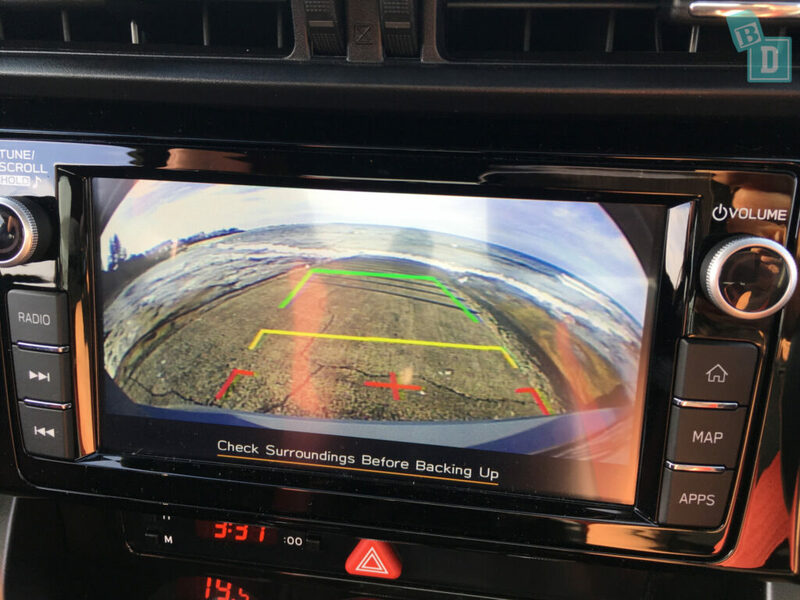 The reversing camera has a crisp and clear image. 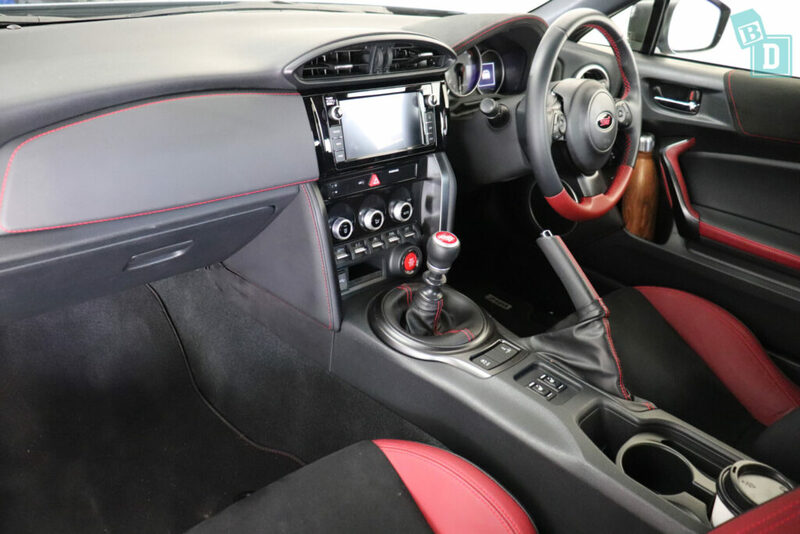 The Subaru BRZ scored a five-star ANCAP safety rating in 2012 and has seven airbags as standard, dual frontal and front side chest airbags and curtain head airbags for the second-row passengers and drivers knee airbag. 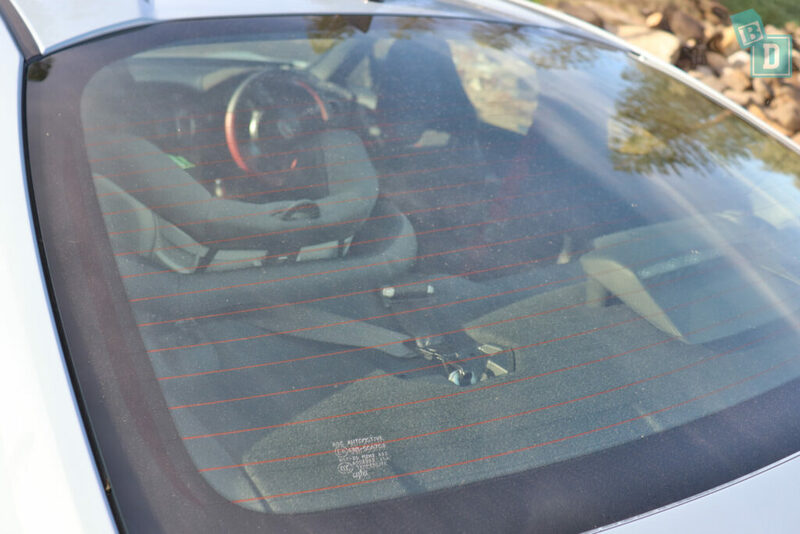 As well as seatbelt reminders for the front seats.